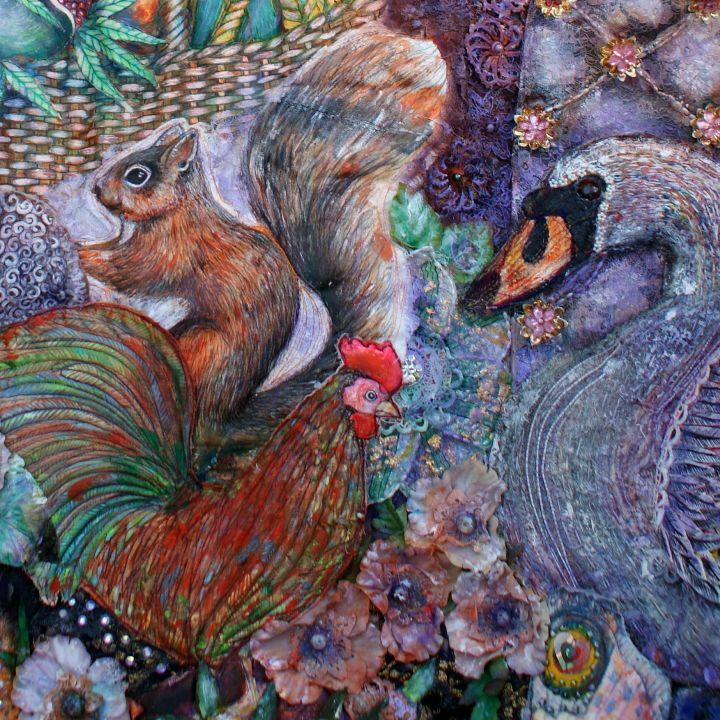 I am a Cheshire based artist who specialises in mixed media, textile based pieces. I take my inspiration from a variety of sources and I am particularly interested in the way in which ancient societies created a series of visual symbols to represent the things which were important to them. I investigate myth and legend and draw parallels between societies, showing that although many people have different beliefs we are all united by visual iconography.